6.28.15 - As of 7.1.15 the Moby Grape Store will be closed. There will be no further options of purchasing any Moby Grape Swag, so get it while the gettin's good! To everyone who helped make "OMG Reunion" a success, I want to thank all of you from the bottom of my heart. Our success will greatly impact the upcoming musicians in our community due to our efforts to assist The Las Vegas Academy of the Arts High School. The grand total of the check we presented to LVA was $20,000! ‘OMG REUNION’ Executive Committee Members, Frank, Leia, Davyo & K.T. Paul Ponkow - Graphic "OMG" Design, Moby Grape Alumni Group’ page Managers / Paul, Davyo & Leia . Paul Ponkow is the original creator & manager of the Moby Grape Alumni FB page. 2.28.15 - The Online Store is NOW OPEN! 1.25.15 - WOW! 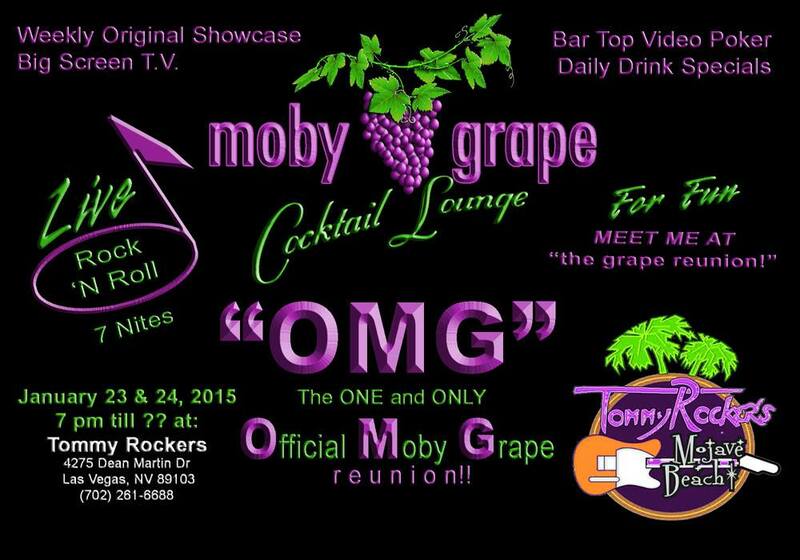 The Moby Grape Reunion was a "OMG" HUGE success, there are so many people that put so much time and effort to making it all happen !!! To raise money for the Las Vegas Academy of the Arts and Music School! We will be posting pictures & videos from the reunion here on this website so keep checking back! GIANT, HUGE, MASSIVE SUCCESS !!!!!!! 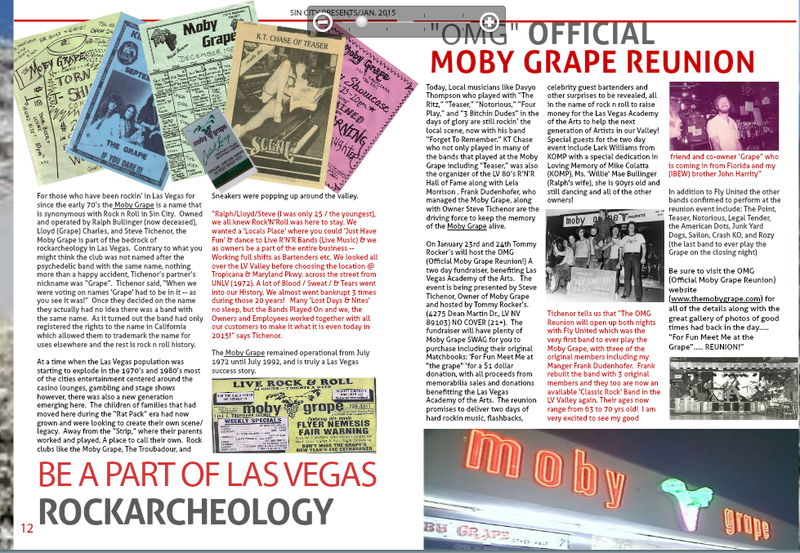 The Official Moby Grape reunion was also A Charity Event & ALL proceeds went directly to Las Vegas Academy of the Arts. This Grammy-award winning music department allows students to participate In comprehensive activities that include instruction in brass, guitar, percussion, piano, strings, vocal, woodwinds, basic musicianship, history, music technology, theory, and world music.